Sixth darshana of the day takes place an hour after Utthapana. A light meal is served to Shrinathji. A Chhadidara stands guard formally dressed in a Pagha (Turban), a Pataka (Sash) and a Gheradar Jama (A Garment with a Flaring Skirt). He holds a staff and wears a golden kada, anklet. The Chhadidara's function is to inform Swaminiji of Shrinathji's arrival, so that she can obtain his darshana and arrange to milk the Cows. 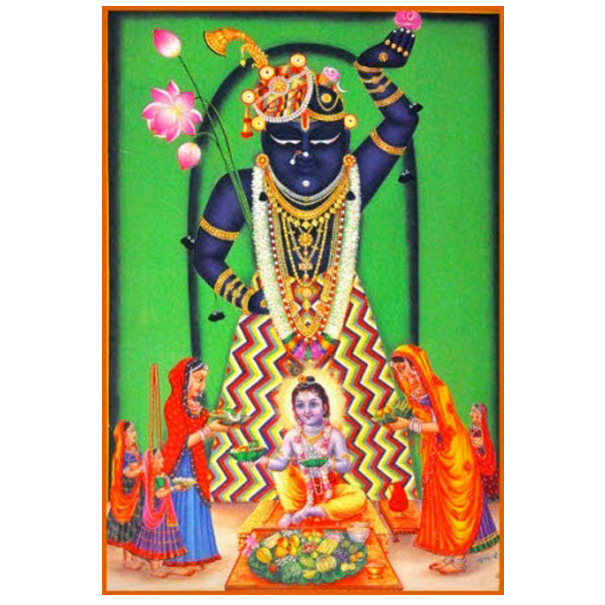 Shrinathji is fanned and a morchhala is waved beside him to remove the possible effects of the evil eye cast while he has been in full view of many people. The main singer for this period is Chaturbhuadas.